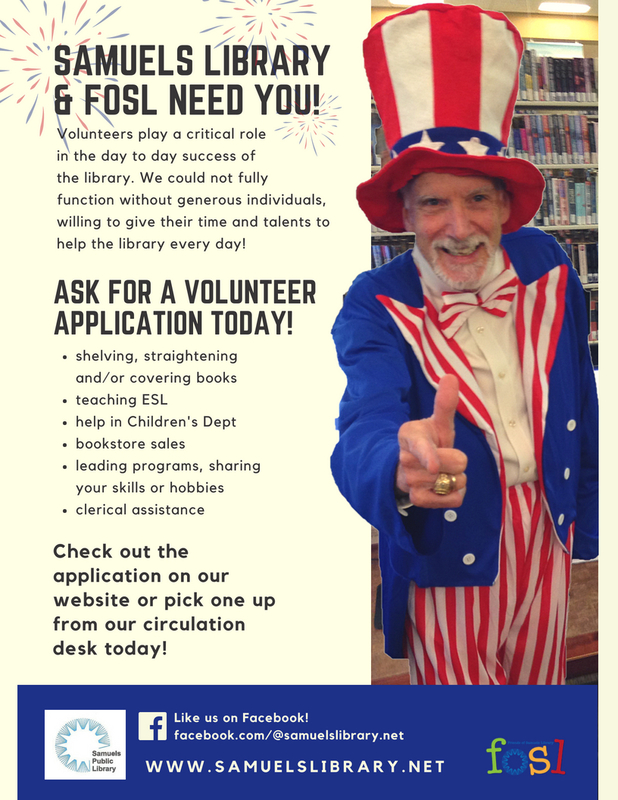 Friends of Samuels Library – FOSL is dedicated to helping Samuels Library fulfill its mission to inform, enrich and entertain adults in the community. Now seeking dedicated volunteers to help out in Epilogue Bookstore! 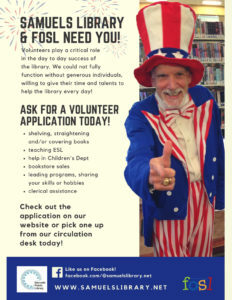 Join our mailing list for the latest FOSL news, programs, and more.